Happy Emancipation Day 2019, Everybody! HURLEY THE HISTORIAN says today is “Emancipation Day” in Washington DC, a legal holiday commemorating the day in 1862 when Lincoln freed slaves in the Confederate states, and our Faux Facebook Friend, Belligerent Black Blogger Nate “Rhymes With Hate Livingston said if we don’t celebrate it, we’re all just a bunch of white racist honkies who forgot that yesterday was Jackie Robinson Day, because on that date in 1947, Jackie Robinson broke the color barrier and became the first Black player in Major League Baseball history. The Natester also wants to know if The Muckraker would like to do a story about somebody asking the Ohio Ethics Commission to Investigate Hamilton County Prosecutor “JayWalking Joe” Deters for continuing to pick on Convicted Ditzy Democrat Juvie Judge Traci Hunter, whose so-called sentencing review had been postponed, but CH Snitch at 1000 Main Street says says nobody knows where the hell that case is these days. What part of “disqualified” didn’t that foolish woman get? She didn’t have a law license, she was a convicted felon facing jail time, and she still wanted to run for judge. Maybe now that she’s seen what damage releasing criminals upon the public can cause firsthand, even Judge Susan wouldn’t do it again and for sure no other local judge would let her keep getting away with running to be a judge while ignoring all laws applicable to her. Emancipation Day is a legal holiday in Washington D.C. which is observed annually on April 16. However, if the traditional Tax Day on April 15 falls on a Sunday and Emancipation falls on Monday when the IRS will be closed like last year, that gave all of us over-taxed payers until Tuesday, the 17th, to file our taxes. On April 16, 1862, President Abraham Lincoln signed The District of Columbia Compensated Emancipation Act. The Act freed about 3,000 slaves in the District of Columbia and represents the only example of compensation by the federal government to former owners of emancipated slaves. 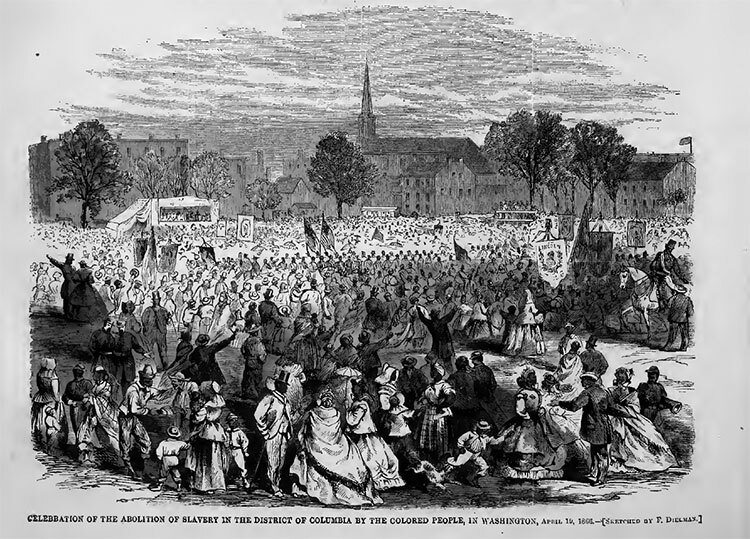 Background: The Emancipation Day celebration was held yearly in D.C. from 1866 to 1901. The city council voted to resume it as a tradition and historic celebration in 2002. On January 4, 2005, Mayor Anthony A. Williams signed legislation making Emancipation Day an official public holiday in Washington D.C.
Slavery did not officially end in the rest of the United States until after the Civil War ended in 1865. The Thirteenth Amendment to the United States Constitution was adopted in 1865 and formally ended slavery in the U.S.
How Emancipation Day is Celebrated: Throughout the month of April, a variety of events are arranged in D.C., such as exhibitions, public discussions, presentations of historic documents, the laying of wreaths, concerts, and poetry readings. 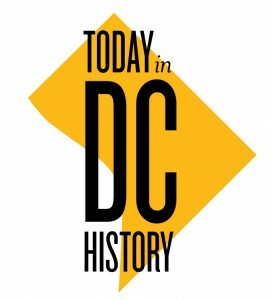 The objective of the events is to educate people about the history of the District of Columbia and its connection to slavery. You would’ve though Black Lies Matter might’ve had something nice planned for today’s celebration, but so far we haven’t seen anything on TV. This entry was posted in Uncategorized and tagged Abraham Lincoln s, Belligerent Black Blogger Nate “Rhymes With Hate” Livingston, BLACK LIES MATTER, Emancipation Day, HAMILTON COUNTY PROSECUTOR “JAYWALKING JOE” DETERS, Jackie Robinson Day, Judge Traci Hunter, The District of Columbia Compensated Emancipation Act on April 16, 2019 by charlesfosterkane.